Exhibitors and retailers offered mixed reviews of last week’s Outdoor Retailer Winter Market—the first in November and first in Denver—with the majority of companies that SGB interviewed saying they lamented the show’s lack of attendees and overall dearth of energy but lauded the show’s new date. Some described the show as “slow,” “dead” and even a “waste of time and money,” and perhaps the first sign that this show differed from past events was the lack of beer lines at the brands’ daily happy hour festivities. Another (and probably more telling) sign was the absence of some large brands—including one that recently announced it was moving its headquarters to Denver—which either opted out of the show altogether or operated out of a private meeting space on the lower level of the Colorado Convention Center. Not all the response was negative, however. 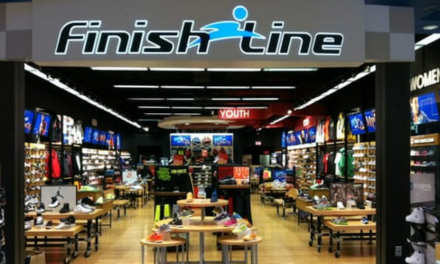 More than a few companies, especially smaller brands, told SGB that the lighter attendance and relaxed pace allowed for more meaningful conversations and the ability to more easily maneuver through the aisles. And immediately following the Grassroots Outdoor Alliance gave some brands and retailers a chance to see many channel partners in the same locale within a few days of each other. Just as SGB did with our Summer Market recap, this report is focused on the business side of the show rather than product highlights (for more about the latest offerings from brands, including some great photo collages, check out SGB Today). Here are four hot topics—in the form of questions and their corresponding answers—plus a few other trends that were culled from this reporter’s notebook over three full days at the show. Look for much more reflection on OR and additional details on some of these stories in SGB in coming weeks. Is November the right date? This is the million-dollar question. Actually, the dollar value of this question might be much larger as event organizers look to 2019 and wonder what to do with the show—keep it intact and try to attract more buyers, move it back to January, combine it with Snow Show or something else altogether. Ever since the new dates were announced, brands and retailers have privately expressed confusion over whether or not they should attend, even as Outdoor Retailer clearly explained that the number of shows hadn’t changed, just the ownership and dates of the shows. But a week and a half ago, a very public debate over the show’s performance emerged just before OR was set to begin. On Nov. 1, when Outdoor Retailer parent Emerald Expositions Events Inc. reported third-quarter earnings, the company announced it was reducing organic revenue growth expectations for 2018, in part because of smaller-than anticipated numbers for Winter Market. Phil Evans, who became Emerald’s interim president and CEO on November 8 following the resignation of David Loechner (read SGB’s article on Loechner’s resignation by clicking here), talked at length on the company’s earnings call with analysts about why Emerald had lowered that guidance. “…With the reduction in our expectations for the new Outdoor Retailer November show and the deferral of two planned [trade show] launches, we’re now expecting to be slightly below the lower end of those guidance ranges with the year largely complete,” Evans said on an earnings call with analysts. Evans went on to say that while industry support for the November show, which was timed to better align with the apparel sales cycle, “has been quite positive,” the industry “will need a full cycle of shows to adapt to the new cadence” of the following OR schedule: Snow Show in January, Summer Market in June and Winter Market in November. Adapting will clearly take some time. While Denver was again viewed as an ideal host for the show and the November date was seen as preferable primarily because it’s at the front end of the selling cycle, the inaugural November Winter Market didn’t have the retailer numbers to justify the booth and travel cost, not to mention brands being away for more than a week because of the preceding Grassroots Outdoor Alliance. Scott Newman is president of Sven Can See, a Holbrook, MA-based company that makes lens cleaners and anti-fog sprays for glasses and goggles. His company’s booth was outside the main entrance, where Newman said he benefited from good traffic, so he is looking forward to that same spot for Snow Show in January. Adidas Outdoor was another booth that was constantly busy, and not because of early happy hours, according to Pete Schuster, director of sales and head of Adidas Outdoor USA’s Golden, CO, operation. 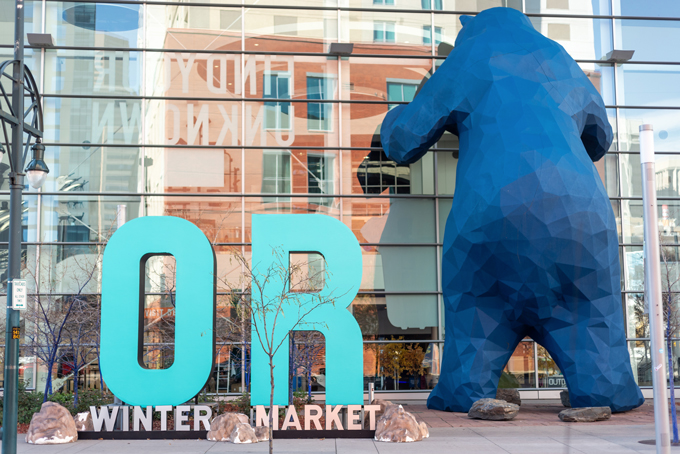 Look for more on the future of Outdoor Retailer Winter Market in SGB, including comments from show director Marisa Nicholson and any date or format changes if Outdoor Retailer or Emerald decide to go in a different direction. Are “ingredient” brands the only ones innovating? This question is hard to answer, but there is a perception among the financial side of the industry—investment bankers and venture capitalists—that outdoor brands not only operate on razor-thin margins but also aren’t doing enough on the innovation side to warrant large infusions of cash. Their argument is that too much product on the show floor is the same gear with different logos splashed on them. The Innovation Awards might change some people’s minds about what’s happening in the industry (another suggestion from an attendee was a similarly themed marketing award). And the night’s big winner has some thoughts on innovation too. Last month SGB interviewed PrimaLoft’s president and CEO, Mike Joyce, about the company’s new (and eventually award-winning) innovation Bio, and here was his response to the question about a perceived lack of innovation in the outdoor industry (read the full interview by clicking here: SGB Executive Q&A: PrimaLoft President & CEO Mike Joyce). Plenty of other “ingredient” brands had some of their innovations on display, including Schoeller, which celebrated 150 years of innovation with an anniversary party on Friday, and W.L. Gore & Associates, which is on its continued quest to remove PFCs of environmental concern from the company’s consumer laminate shipments by 2020. Is specialty retail still the preferred channel? Light attendance at OR doesn’t undermine the role that independent specialty outdoor shops play for outdoor brands, according to numerous exhibitors at Winter Market who said the channel remains the No. 1 option for a variety of reasons even as many look to build an omnichannel sales strategy. Aventura and Ecoths are sister apparel brands that sell through the independent outdoor specialty channel, according to the company’s president and CEO, John Kirsch, and its VP of sales and marketing, Tom Williamson. They both said that while the two brands (Aventura is women’s apparel and Ecoths is men’s) are in some larger retail chains, independent shops are better able to share message of what helps a smaller brand stand out, from fair trade practices to garment quality to sustainable sourcing. How are brands differentiating through storytelling? More brands are adopting content marketing as part of their messaging efforts to win mindshare and build loyalty. As companies seek ways to differentiate, they are finding creative ways to highlight not only their heritage stories, but also the unique ways they are sourcing or engaging consumers through social media and other channels. Merrell‘s booth space near the front of the show floor allowed the brand to showcase its One Trail project, a campaign built around “celebrating diversity on the trail and seeking to contemporize attitudes about outdoor participation,” according to the company. Todd Spaletto, president of the outdoor and lifestyle group for Merrell parent company Wolverine World Wide, said the campaign was about ensuring that Merrell about “new, contrived brand positioning” as a way to differentiate, but instead is calling attention to the brand’s authenticity as a way to stand apart. Is the sustainability message getting drowned out? Companies throughout the show floor touted their sustainability efforts, and while many are bringing transparency to their supply chains as way to bolster their claims, there remains some doubts about the how “green” these companies really are. When every brand shouts their sustainability message from the rooftops, do customers stop listening? New faces, new brands: This was the first show for Mammut North America without Joe Prebich, who left the company last month for undisclosed reasons (read SGB’s story about the split by clicking here). His departure came just six months after being named to the brand’s top North American position, and Kris Kuster, managing director for Mammut Switzerland, was appointed to replace Prebich. There is no word on a permanent replacement. In other leadership news, Vibram’s new president for the USA, Fabrizio Gamberini, was at the show. Look for an upcoming Q&A with him in SGB on his vision for the sole company. And the show saw some new brand entrants like Kathmandu, which bought Oboz last spring and debuted its products for North America market at Winter Market. Tactical category increases in presence: From footwear companies like Garmont to gear companies like Mystery Ranch (and plenty more in between), tactical gear had a visible presence in booths throughout the show. SGB will be writing about how outdoor brands are branching out into the tactical category. Look for much more coverage from Outdoor Retailer Winter Market’s Denver debut in future editions of SGB Executive, including C-suite Q&As, product trends, brand stories and more insight into the outdoor industry’s current and future state. And feel free to send your brand’s business news to ericsmith@sportonesource.com.